With over 350 vibrant photographs, extensive commentary and architectural plans, this architecture and design book showcases the modern luxury homes of Asia. 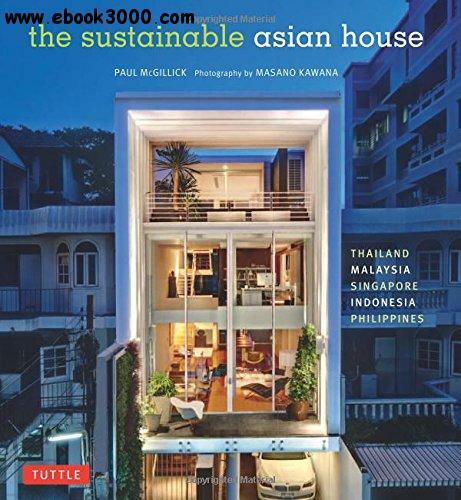 The Sustainable Asian House celebrates modern architecture as an expression of environmental, social and cultural sustainability as seen in some of the most breathtaking luxury homes in Southeast Asia. Gorgeous residences in Thailand, Malaysia, Singapore, Indonesia and the Philippines beautifully exemplify the trend towards sustainable architecture that engages with the natural world. The 27 houses featured in this fascinating and stunningly photographed architectural digest provide endless inspiration for architects, designers, builders and home buyers. The Sustainable Asian House illuminates the region's reinterpretation of tropical architecture and the growing interest in traditional materials and craftsmanship. There is a new emphasis on fresh air, natural light and spatial variety, reflecting the importance of well-being. Designers are considering issues such as orientation to the sun and prevailing winds to reduce energy consumption and carbon footprint. Instead of treating the tropical climate as something to overcome, the architects featured in this book present regional solutions on how to live appropriately in the contemporary, tropical world.